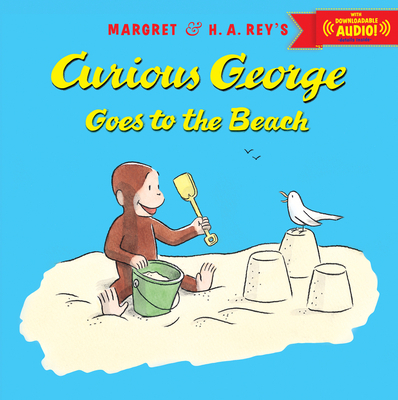 Enjoy a day at the beach with Curious George! This storybook, featuring illustrations in the classic style of H.A. Rey, takes George on a sunny, seaside adventure. Everyone's favorite curious little monkey tries lifeguarding (he loves the tall chair and binoculars), feeds some seagulls, helps a friend overcome her fear of swimming, and even makes a daring ocean rescue when the picnic basket gets swept out to sea! This edition features a fill-in-the-blank word activity and downloadable audio so kids can hear the full story read aloud! Includes page-turn signals to guide early readers.